Games4King Boy Escape From Fruit House info about the game-Games2Rule. There was a beautiful and splendid village. The whole village is beautifully scattered. 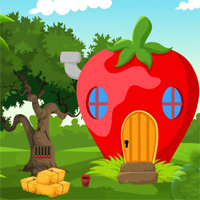 All the houses in the house are designed like a fruit house. There is a boy living in that village. The boy was unexpectedly stuck in the fruit house one day.